Jurgen Klopp has joked he would be keen on the idea of a European Super League, saying it would mean "a lot less games and much more money." German news magazine Der Spiegel claimed on Friday that 16 top European clubs are set to sign a document for the establishment of a European Super League in three years' time. Liverpool are not commenting on their inclusion in the report, while a source at Arsenal has insisted to Sky Sports News the club are not involved in any such breakaway plans and that they remain committed to the Premier League. Asked for his thoughts on the proposition after Saturday's 1-1 draw with Arsenal, the Liverpool boss said: "I have no real opinion. It sounds nice, really nice, because it would mean a lot less games and much more money. "I'm completely fine with league football and how it is at the moment. At least it's an idea that won't happen immediately, I'm not sure if somebody has spoken about it to be honest. "All the other wonderful ideas of UEFA and FIFA they do it immediately - they don't ask - you see then, 'oh now we have 20 more games - all of us - and no more money.'" 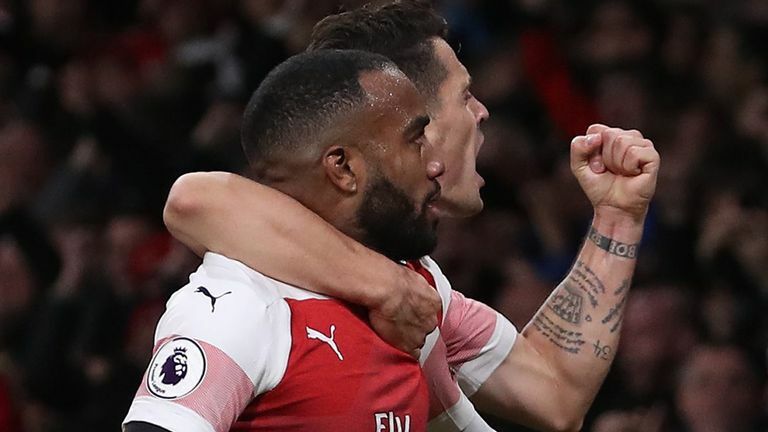 Arsenal boss Unai Emery was not willing to discuss the matter after Saturday's draw at the Emirates and, when pressed on the subject, he said he was not the correct person to ask. Senior sources at Arsenal say they are unaware of the reported proposals for 2021 and consider the Premier League the best and most competitive in the world. But they consider it important to be involved in conversations about the future direction of the game, both domestically and in Europe. Manchester United also declined to respond to the Der Spiegel article, while Sky Sports News has attempted to contact Chelsea.